The all new Park Centre bridges the commercial and recreational centers of DeMotte and offers a unique opportunity for businesses ready to take advantage of this exceptional project. Park Centre is anchored by Auto Zone, BP Express, DeMotte State Bank, and the new St. Anthony’s Medical Clinic. Park Centre is located on State Highway 231 in the heart of DeMotte's retail district adjacent to Spencer park and downtown. Park Centre takes the Town Center concept to a new dimension. It combines practical business functionality with the communities most aesthetically appealling design features to produce a project that any business would be proud to be part of. Come explore the opportunities waiting for you at the premier business address in the Park Centre of DeMotte. Spencer Park has long been a focal point for the citizens of DeMotte, Indiana. 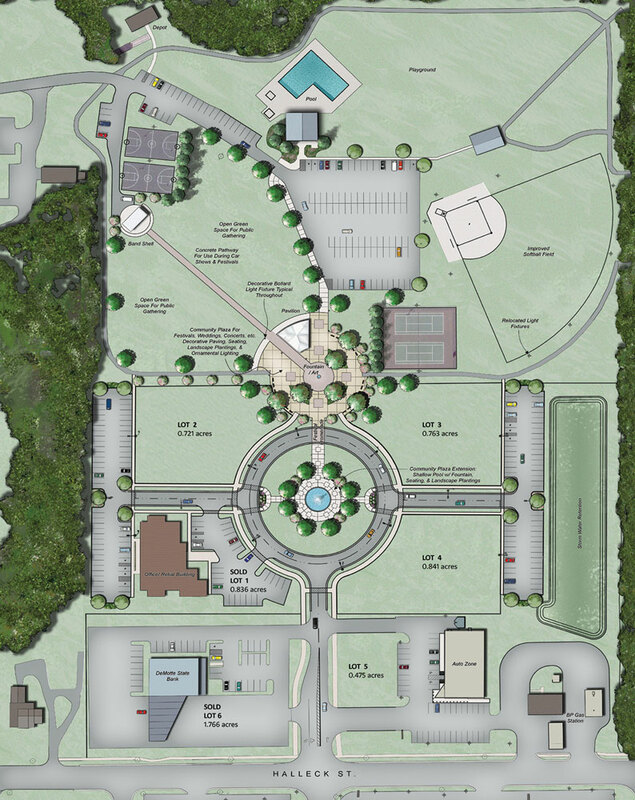 The park, which features a community swimming pool, ball fields, a playground and other amenities, will be and even bigger attraction when the New Park Centre project is completed. 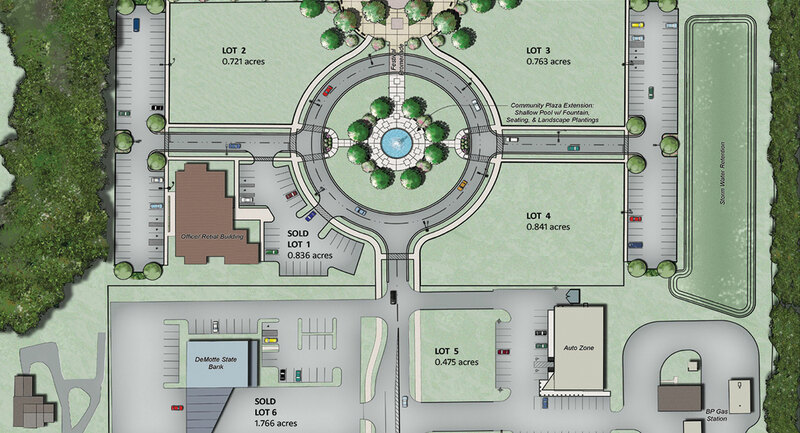 The project features a new circular entrance to Spencer Park, parking and other amenities. The integrated design will make Spencer Park and Park Centre a large open landscaped gathering area. DeMotte is located in Northwest Indiana just 10 minutes south of Merrillville and Valparaiso. It is a bedroom community to Chicago and Greater Northwest Indiana. All major area retail is located within a half mile radius of Park Centre.